Tea is India’s most popular drink – the country consumes 837,000 tonnes of it every year. 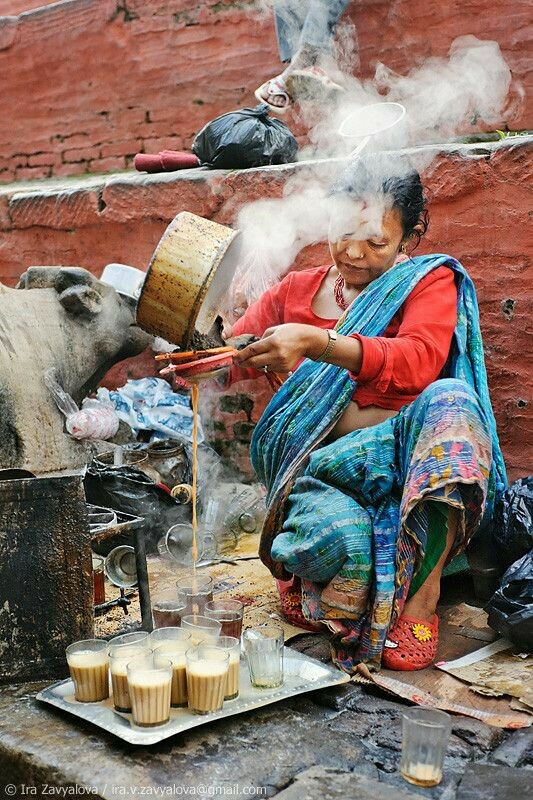 The ritual of drinking chai transcends all boundaries, and roadsides are dotted with chai wallahs who serve it boiled up with spices, sugar and milk. 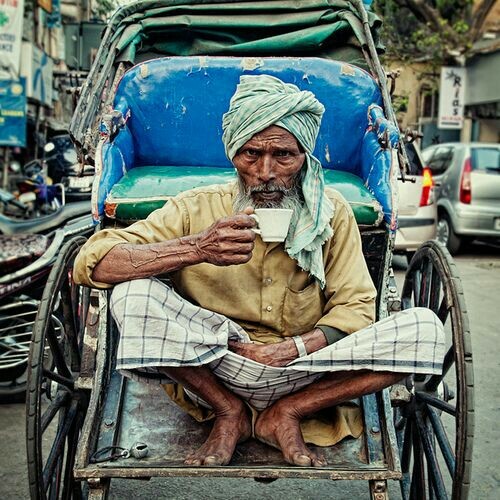 In many regions of the world, the word ‘Chai’ is the word used for tea. In India, however, ‘Chai’ or ‘Masala Chai’ describes a hot beverage which is prepared using specially selected spices and black tea. Before being served, milk or frothed milk is added. 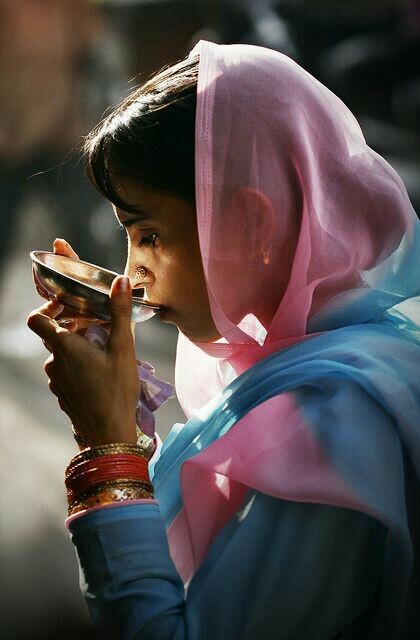 Going to India, you will find this delicious drink anywhere – in trains, at bus stations or on markets. Today, Chai is increasingly gaining popularity all over the world and it is a delicious alternative to coffee. 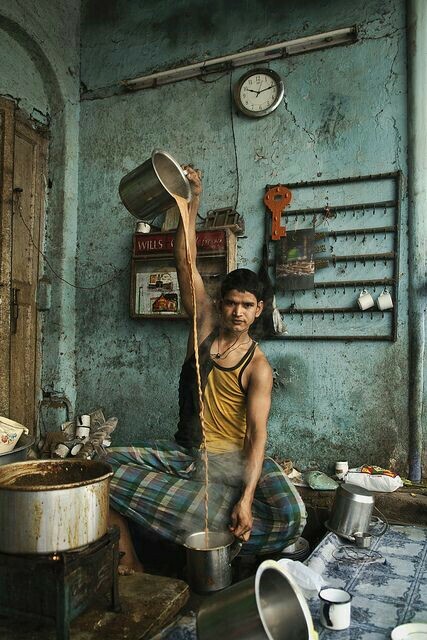 Indians typically serve tea in their homes several times a day. 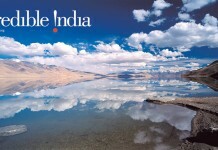 India is the world’s second largest producer of tea and 70% of it is consumed within India. 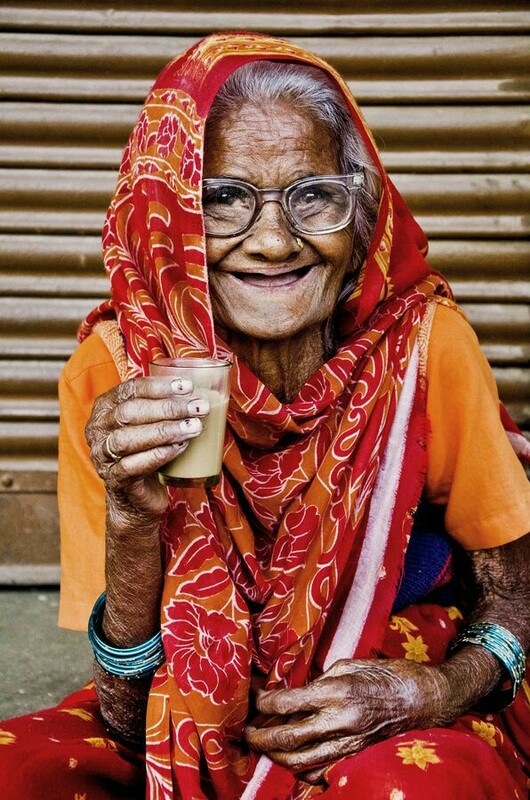 By April this year, chai will be officially declared the national drink of India. Chai, a creamy, soothing South Asian beverage, combines black tea, spices, sugar and milk. 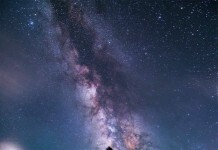 Masala is a generic term for “a mixture of spices,” and chai is a generic term for “tea.” (Yes, “chai tea” is redundant—the phrase drives me bonkers!). 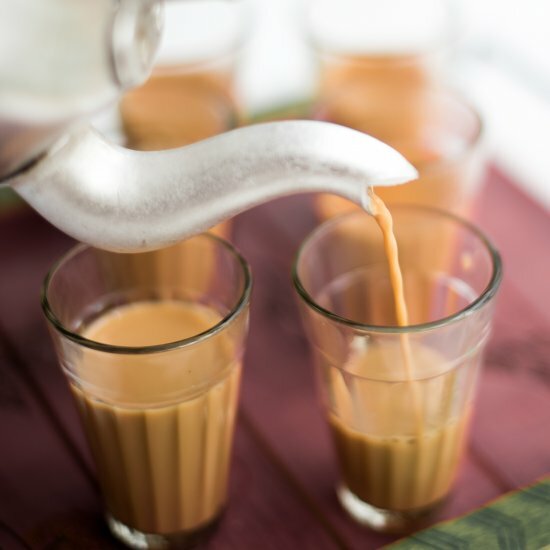 Chai is ubiquitous on the Indian subcontinent and in homes across the diaspora. An offering of tea is a sign of welcome and generosity. Every person who visited my childhood home was greeted with a cup of warm, milky, spicy tea. Many American coffee bars list chai on their menus, but their concoctions tend to be overpriced and under-spiced. And the tea bags, pre-ground spice mixtures, and concentrates found on supermarket shelves are woefully bland. A proper masala chai made is made with loose tea and whole spices, resulting in a pungent and rich brew. The spices that make up a traditional masala chai usually include some combination of cardamom, ginger, clove, black pepper and cinnamon. However, a cup of masala chai can be made to suit personal taste and preferences. My mother, for example, prefers cloves; my father would rather have fennel seeds. I’ve even known home cooks to empty their entire spice cabinet into their masala chai: coriander seeds, cumin seeds, threads of saffron, bay leaves, white peppercorns, even salt!